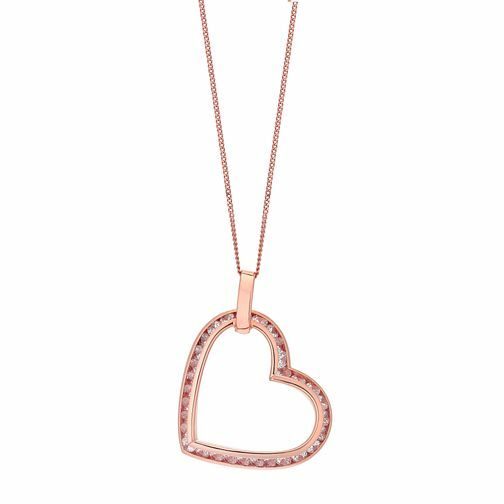 Indulge her sense of style with this chic 9ct rose gold open heart pendant, channel set with glittering cubic zirconia stones for a touch of glamour. Set on a fine chain and designed to work wardrobe wide, this eye catching piece is destined for a spot in her jewellery box. 9ct rose gold cubic zirconia angle heart pendant is rated 5.0 out of 5 by 1.